My daughter practically lives on string cheese sticks. She tends to like the Sargento brand the best (yes, she’s become quite the connoisseur) so I thought it would be fun to research them. Turns out they are a family owned and operated company established over fifty years ago. 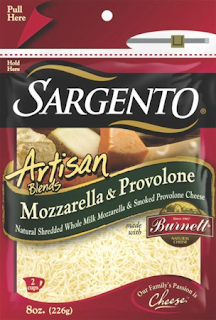 While cheese itself is a centuries old product, Sargento has found success through innovative marketing techniques. During the fifty years they’ve been around, they were the first to vacuum package cheese to preserve freshness, the first to market shredded cheese, the first to introduce peg marketing of products in the dairy case of grocery stores, and the first to introduce ziplock packaging in the cheese market. Man, where would the world be without Sargento??? Today the company employs over 1300 people in their Wisconsin facilities. My hubby works for BelGioiosio Cheese Co. in WI. I think they have the best cheese. have a great weekend!